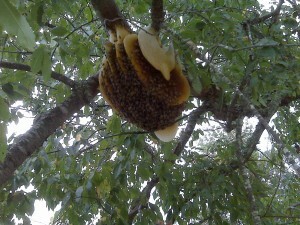 Have a bee swarm that you don’t know what to do with? Pesticide companies will kill the bees, while a beekeeper can remove them and provide them with a proper home to make honey in! Tazewell County Area: Billiray Armstrong of Thompson Valley Bee Farm has experience in catching swarms. If you are interested in being listed as a swarm catcher, please send your name, phone number and the area where you live to the association secretary at abeeskep@gmail.com. Your information will be posted here for others to contact you.